We know the value of partnerships and are always looking for collaborative projects that elevate how we can best serve the needs of our nonprofit community. We have partnered with some of the finest strategic minds in the sector to produce books, guides and original research highlighting best practices in communications. Whether you are a foundation, corporation, nonprofit or an individual, we would love to work with you to create the next great resource or tool to help improve strategic communications. Contact us to start a conversation. In partnership with Media Impact Funders and supported by a grant from The California Endowment, we took a closer look at campaigns that created a more receptive environment for dialogue about potential solutions, built public momentum and generated political will for policy change. In that process, we identified and shared eight in-depth case studies and 10 underlying principles that made those campaigns a success. 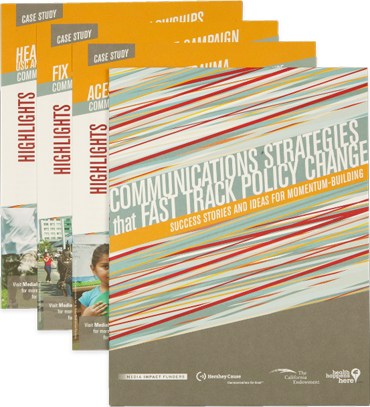 The resulting set of digital and print resources are full of lessons learned and best practices for any organization that wants to use innovative communications strategies to achieve rapid policy change. 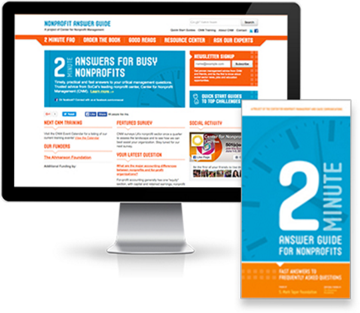 The 2-Minute Answer Guide for Nonprofits: Fast Answers to Frequently Asked Questions provides concise, “two-minute” answers to some of the most frequently asked questions on nonprofit management. The book and accompanying website feature a collection of hand-picked resources on the topics of boards and governance, evaluation, finance, fundraising, leadership and innovation resources, legal resources, managing people, marketing and communications, strategic planning, technology and facilities. We published the 2-Minute Nonprofit Answer Guide book and launched the accompanying website in partnership with the Center for Nonprofit Management. Since its launch, thousands of website visitors have benefited from this resource here in the U.S. and around the world, including audiences in Africa, Asia, Australia and the Middle East. 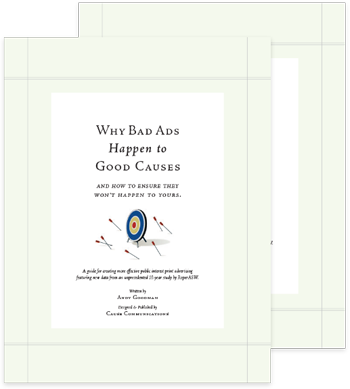 In collaboration with Andy Goodman, we designed and published this book to give nonprofits and foundations the tools they need to create the best possible print ads. We analyzed a 10-year Roper/ASW study of the efficacy of public interest advertising and interviewed leading practitioners. 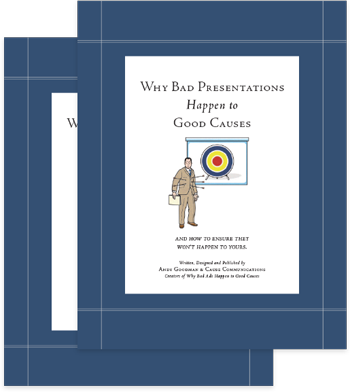 In collaboration with Andy Goodman and based on unprecedented research across the public interest sector, we designed and published this book to help people deliver more engaging, informative and persuasive presentations. Incorporating the advice of twenty highly regarded public speaking experts, this book outlines commonly made mistakes, advises on how to structure presentations in ways that help audiences absorb it, how to use PowerPoint more effectively and how to deliver talks with greater confidence. Whether you are a foundation, corporation, nonprofit, or an individual, we would love to work with you to create the next great resource or tool to help improve strategic communications.